Talk with a live person in less than 60 seconds! 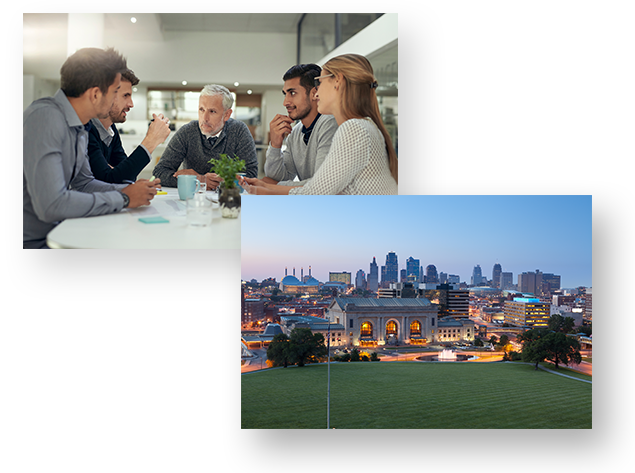 Based in Kansas City, Complete Technology Services is an IT company specializing in helping small and medium-sized businesses. We have developed a set of best practices to ensure our clients achieve their goals through powerful and reliable technology. Our philosophies are rooted in providing the highest levels of service and satisfaction to our clients with a ‘Complete’ offering of hardware, software and IT service. Our experts monitor, troubleshoot, and maintain your desktops, servers, and other endpoints to ensure your business runs efficiently and profitably. Why risk losing your data to system crashes, viruses, or accidental file deletion? We can develop a comprehensive backup strategy so you never have to worry about data loss again. Even if you experience IT issues in the middle of the night or on weekends, you can count on our support team to be there for you via phone, instant messenger, and email. When an IT problem is too complex to solve remotely, we’ll send over an experienced and highly trained service technician to troubleshoot and fix the issue, at no additional cost. We can manage all your IT vendor relationships from telecommunications, Internet Service Providers and software, so you can concentrate on growing your business.